It is overwhelming to see how the disease invades the human body. The last two felt sculptures, Invasion I and II, looks at the fear of death by disease. Cancer is a disease that starts in our cells. Unhealthy cells can form lumps or tumours, or it can spread through the bloodstream to other parts of the body and sadly, cancer has taken the lives of family members. Cancer touches almost everyone, and this is an issue that seems to haunt me over the years. Good health is priceless. However, when illness takes over it can be a debilitating and frightening experience. 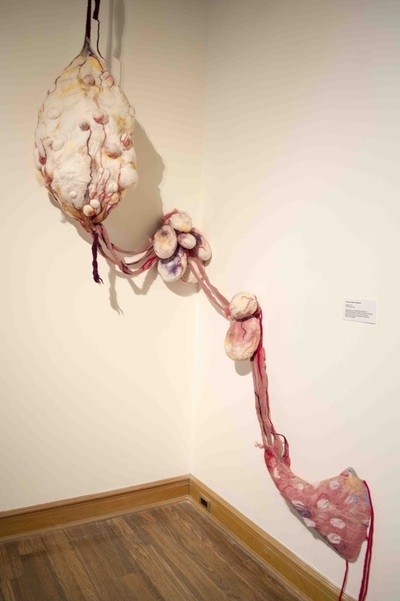 Invasion I & II are works that depict the overwhelming spreading of the disease that invades the human body. 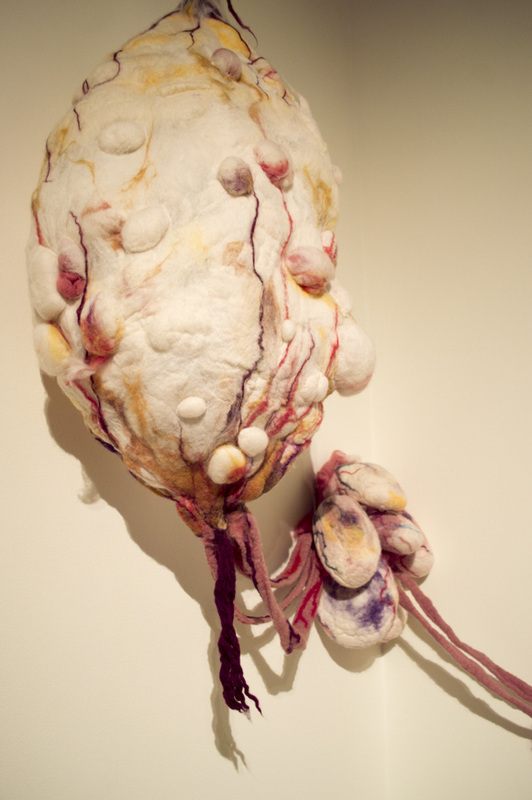 I sketch, hand form, dyed wool, layered colourful fibers and felted a number of cells and lumps shapes out of wool and some chiffon. 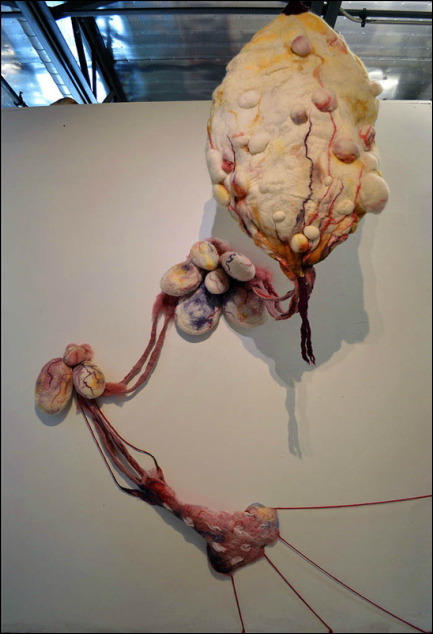 This process is to create a structure that operates both as environmental sculpture and three-dimensional painting in space. 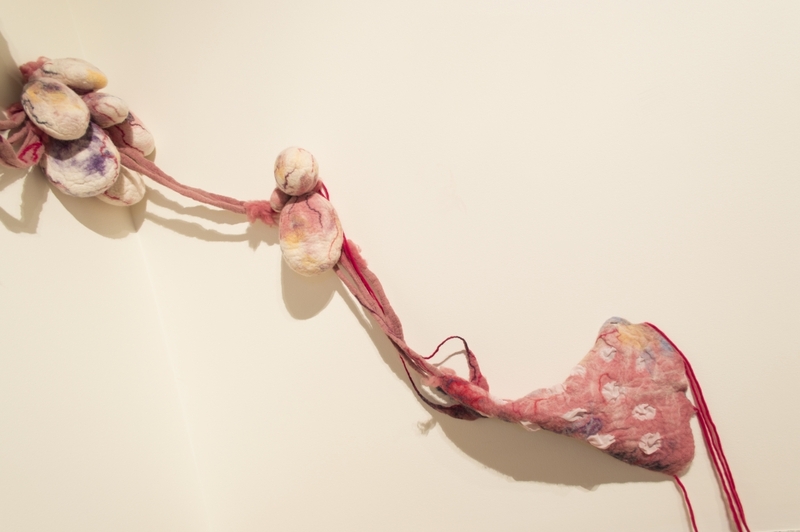 Through the process of felting, the wool maintains the shape of the cells and lumps while operating symbolically as a facade. These emerging felting constructions allows for the invasion of place and landscape and environments for me to further explore.